Kamau Leverock and his Walkerville Cricket Club teammates would earn a big win on Day Two of their Kookaburra Sports A1 Premier Grade Round 8 match against Payneham. 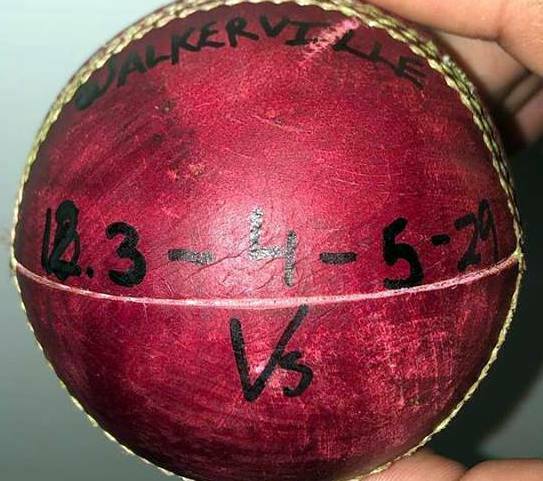 Walkerville batted the entire 80 overs on the opening day scoring 325/7, in reply Payneham were bowled out for 62 in their first innings, Walkerville would send them back to bat and bowl them out for 92 in their second inning winning the match by an inning and 171 runs. Payneham were bowled out for 62, James Stagg was their top scorer with 25, with Scott Blackmore leading the Walkerville Cricket Club bowling attack returning figures of 12.2-3-31-6, while Leverock bowled 5-2-5-2. In their second inning Payneham would score 30 more runs, as they were bowled out for 92, Anthony Brdar was the top scorer with 31 not out, while Leverock led the Walkerville bowling attack with figures of 12.3-4-29-5 to take his game figures to 17.3-6-34-7.